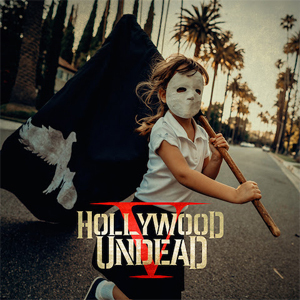 HOLLYWOOD UNDEAD Share New Track, "Gotta Let Go"
HOLLYWOOD UNDEAD’s highly-anticipated new single, “Gotta Let Go”, is out today! The summery tune exposes a more melodic side of the band and showcases their impressive songwriting chops. By stripping things down to their core, the quintet unveils a new side of themselves, while still remaining uniquely Undead. Fans can listen below. “At times when we look at the past, we only see the struggles and the hardships. We too often forget about the good moments because we are blinded by the pain we all go through. This song is about letting go of that pain, so we can see that life can be a beautiful experience,” says Johnny 3 Tears, HOLLYWOOD UNDEAD’s vocalist and bass guitarist. Since the release of FIVE (October 2017 via Dove & Grenade Media/BMG), HOLLYWOOD UNDEAD have crossed an impressive one billion U.S. streams across their catalog, as well as 1.7 million total Shazams. In addition to debuting at #7 on the Billboard Top Albums Chart, FIVE has also racked up 56 million total global streams, and all six music videos from the record have garnered 30 million views cumulatively. After touring tirelessly worldwide throughout the past year, HOLLYWOOD UNDEAD will head back out on the road this weekend, playing Rock AM Ring and Rock IM Park in Nuremberg, Germany, followed by a run of headline dates and festival performances across Europe and the U.S. In August, the band will also return to Europe for the Reading & Leeds Festivals in the U.K. A full list of tour dates is included below, and tickets are available HERE. Stay tuned for more new music from HOLLYWOOD UNDEAD!